The picture above shows the second uplift given to the façade when I was in school, and I think within two or three years of each other. This is pretty much how many alumni and alumnae will remember the school because this façade did not change until the late nineties. 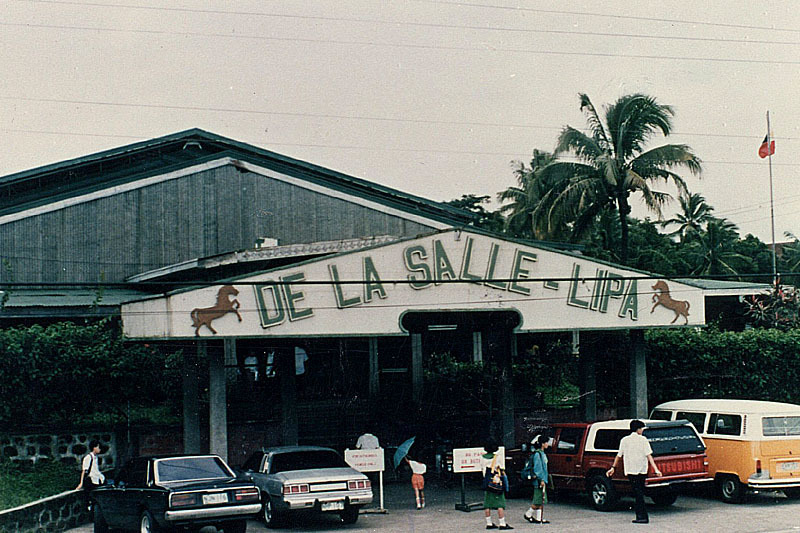 If I say alumnae, that is because, in school year 1974-75, when I was a high school senior, La Salle opened its doors for the first time to coeds. The girls were accepted only into the first and second year levels. This meant that we were the penultimate batch of seniors to graduate exclusively male; and the distinction of the very last went to the high school class of 1976. Obviously, the above image is what elicits so much nostalgia; and the same picture posted on my Facebook account has the most number of Likes among my collection of nostalgic photographs. I do not know this for a fact, but my guess is that the façade above was forced onto the school by road widening that was being undertaken by the national government. I say this because the road widening project also ate up part of my family’s property. This places the redesign of the façade either 1973 or 1974; and if you compare the picture above to the one in the previous page, it is noticeable that the edge of the road had come closer to the school property.